It was early 2013. More than three years had passed since the publication of the second novel in my crime series, Blood Atonement. My English publisher had decided they did not want another, despite good sales – The Blood Detective had briefly and somewhat surprisingly been the bestselling ebook in the UK – and a couple of award nominations. I had plans to write more, but due to a mortgage, mouths to feed, and a more profitable career writing non-fiction, I did wonder if that was it, loathe as I was to leave it behind. Then an email landed in my inbox. It was from Jean-René Dastugue. 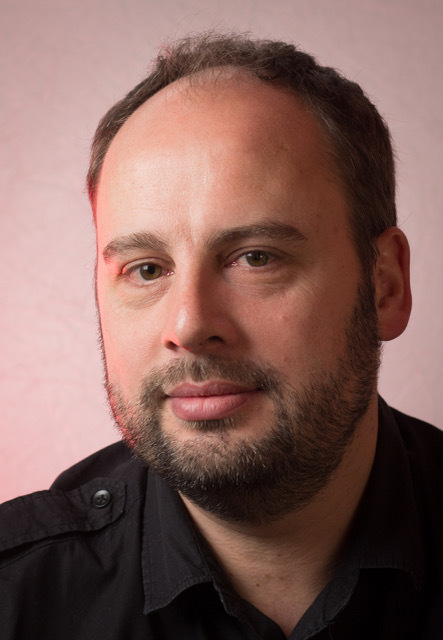 He had read The Blood Detective in 2009, said a French publisher might be interested and, when they were, translated both it and Blood Atonement into French. The Blood Detective - or Code 1879 as it was known – sold well, was again nominated for an award and this time even managed to win, which involved a short but glorious tour of France promoting the book and inflicting my sub-schoolboy French on unsuspecting readers. Jean-René was clearly a talented man. My French was too poor to appreciate his skills, but in France everyone raved to me about the book and the way it was written. I sometimes wonder if it was the first book to have gained in translation. He was also an enthusiast; he loved my books and characters. This was a joy to hear, after being beaten up by the publishing industry in the UK, knowing I had written two very good books but suspecting my publisher – my original editor having emigrated – didn’t quite share that view. In France we met and got on well. He was funny, his wit dry and mordant. He teased me kindly about my French – which didn’t extend more than Merci beacoup – but he was more interested in finding out when I’d write the next book. I parried, paused and vacillated. There will be one, I ventured. ‘There must be one!’ he said, banging the table. But back in the UK, other work claimed my time. The enthusiasm I felt on my return from my French tour, fuelled by red wine, Gauloises and praise, started to dissipate. ‘Please write another,’ Jean-René wrote. Then came the killer line. For a few nights to I was haunted by this vivid image, of my genealogist Nigel Barnes and detective Grant Foster, characters I had created over several years, lying ignored and neglected in the dark. So I opened the cupboard and let the light in. I already had a plot, or the bones of one, influenced by the public outrage which surrounded the notorious murder of James Bulger, and I started to write. I quickly reacquainted myself with the bracing and terrifying liberation of fiction, the endless possibilities. It had been more than two years but Nigel and Grant’s voices were as familiar as old friends, and just as pleasant to spend time with. Within a year I had a draft. Jean-René and my French editor Nathalie Demoulin loved it and La Moisson des Innocents was published in 2014. Nice reviews and sales followed, as did a well-received pocket edition. Now it was time to publish it here. I had been emailed regularly by readers asking when the third book was due. It was difficult to explain why it was available in French but not English, but by now I had made the decision to self-publish via Amazon. In order to do that I wanted the rights to the first two books so they would also be available and not out of print. Why publish the third in the series when the first two were unavailable? Getting the rights back was tricky, but thanks to the persistence of my agent Araminta Whitley, my old publisher relented. The Blood Detective and Blood Atonement were published last year. Blood Underground, a short story, followed at the end of the year, allowing me to apply a final edit and polish to the third, originally called One Soul Less, but now Blood Reckoning. 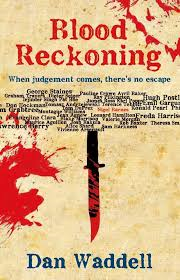 At last, on May 1st, more than five and half years since Jean-René’s email spurred me into action, Blood Reckoning will be available in English for the first time. Alas, Jean-René is no longer here to thank. To the sadness and dismay of all that knew him, he died in August 2017, years before his time. He was wonderful translator and a gentle, erudite man. Without him this book, and with it perhaps my crime writing career, might have stalled for ever.